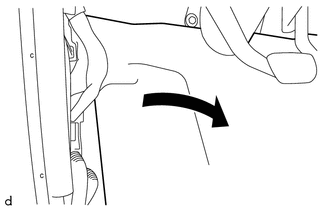 (a) Engage the 2 clips to install the front floor footrest. 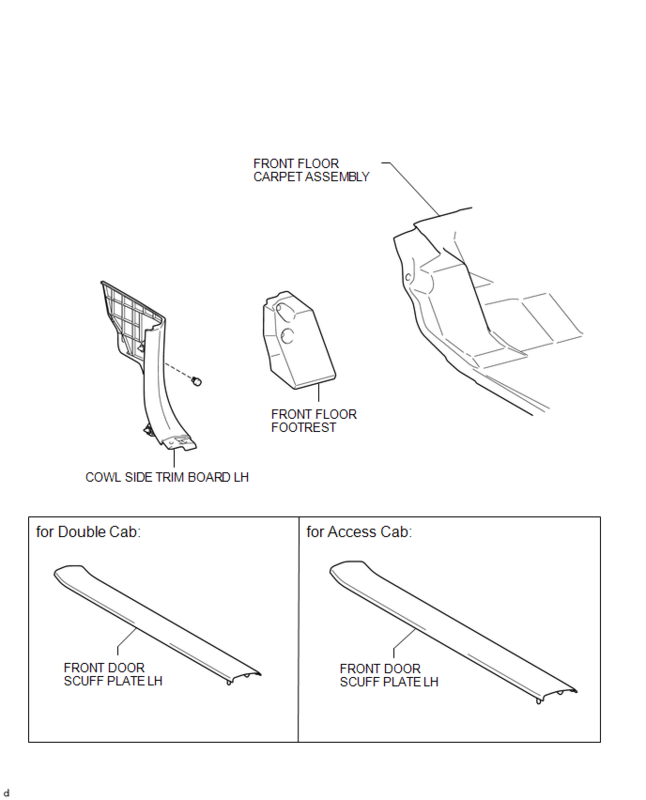 (a) Return the front floor carpet assembly as shown in the illustration. 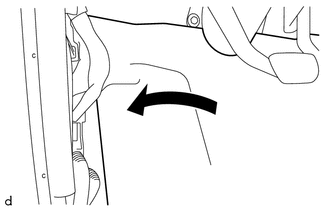 (a) Peel back the front floor carpet assembly as shown in the illustration. 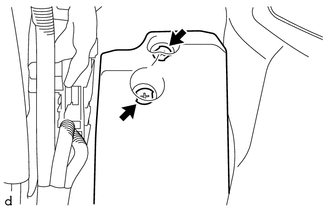 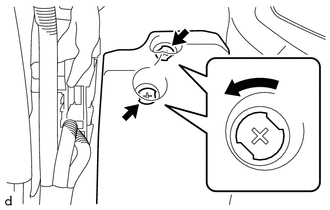 (a) Rotate the 2 clips counterclockwise to remove the front floor footrest as shown in the illustration.